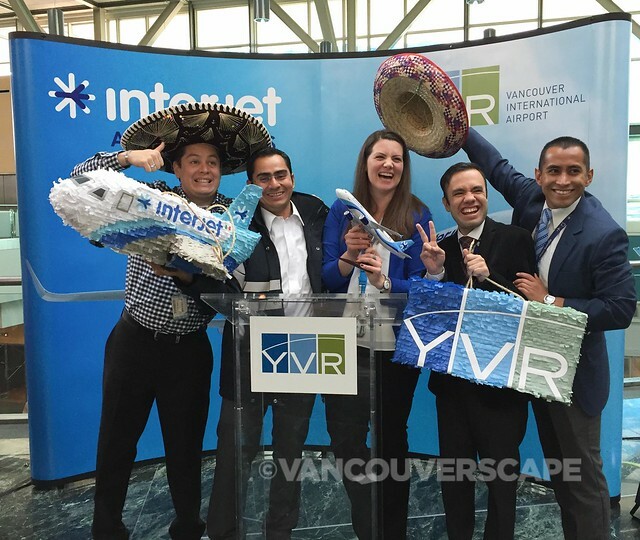 Yesterday morning, Interjet and Vancouver International Airport (YVR) celebrated Interjet’s first flights from Vancouver, offering new nonstop service between YVR and Mexico City International Airport (MEX) and Cancún International Airport (CUN). For those not familiar with Mexico’s second most popular airline, they’re based in Mexico City with air service to 53 destinations in eight countries, including 36 cities in Mexico. Its network includes service to nine U.S. markets: Chicago, Dallas/Ft. Worth, Houston, Las Vegas, Los Angeles, Miami, New York, Orlando/Sanford and San Antonio. 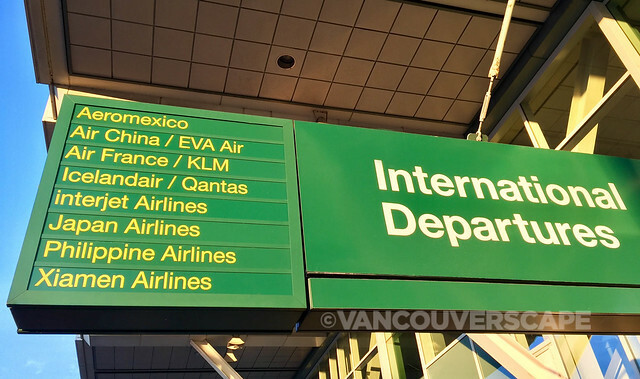 Other international routes include Montréal, Canada; Havana, Santa Clara and Varadero, Cuba; Bogota, Colombia; Guatemala City, Guatemala; Lima, Peru; and San Jose, Costa Rica. 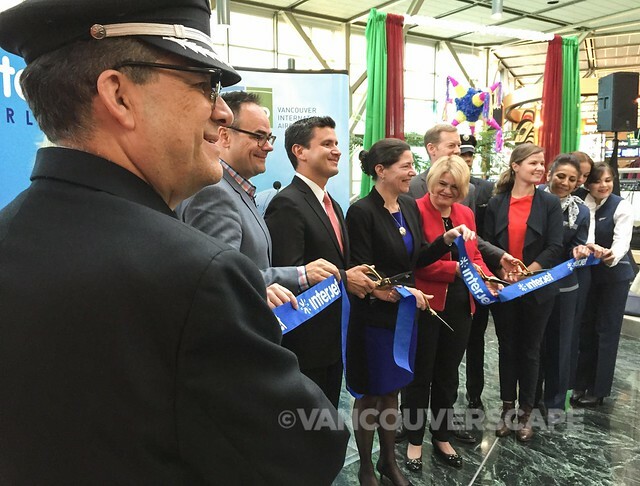 “Vancouver is one of North America’s fastest growing tourist destinations as well as a thriving business center,” said José Luis Garza, Interjet’s CEO. 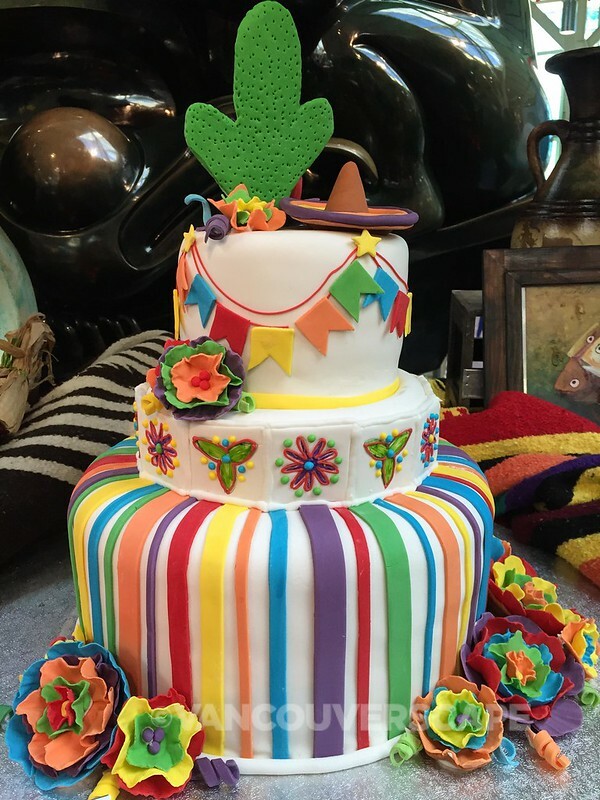 “Its majestic mountains, sparkling ocean waters, rainforests and natural beauty throughout all four seasons make it a natural getaway for Mexican leisure and business travellers. 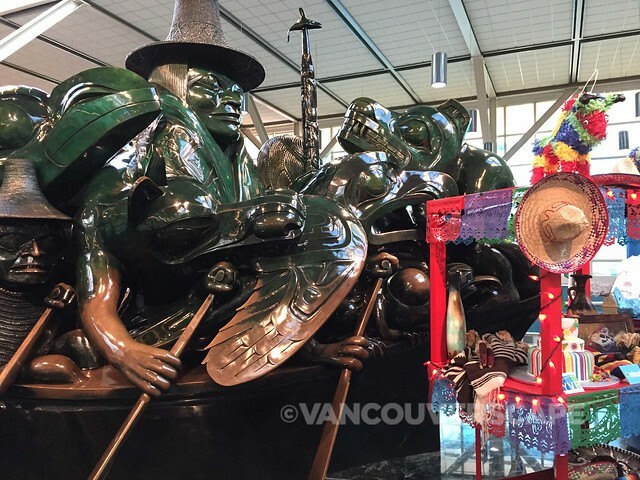 We’re also delighted to offer Vancouver travellers’ access to Mexico on our unique brand with lower prices, free checked bags on select fares, more legroom between seats and great service that has been embraced everywhere we fly,” he added. These new routes will contribute over $16 million in total economic output, including adding 106 jobs to the BC economy and $8.6 million in Gross Domestic Product to the province. It will also provide opportunities for BC businesses to reach new customers, suppliers and investors throughout Mexico and Latin America. Mexico also aims to foster higher education through academic exchanges. Over 4,000 Mexican students come to BC yearly for ESL, K-12 and higher education programs. At the press conference, Ty Speer, CEO of Tourism Vancouver, added that he’s thrilled to welcome the new brand and partner to our city. 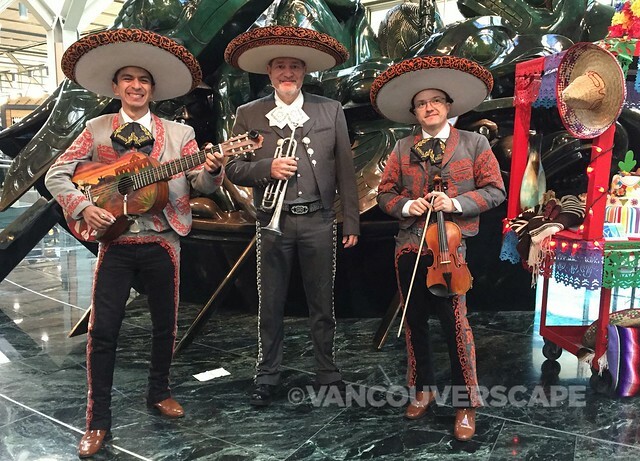 Last year, close to two million Canadians visited Mexico, nearly half of them from Western Canada. For their 12 years in service, Interjet’s received an impressive list of accolades and industry awards. Forbes cited Interjet as Mexico’s leading airline offering comfortable seating, low fares and excellent service on board, while TripAdvisor honoured Interjet with their Travelers’ Choice Award for 2017 – Best Mexican Airline. 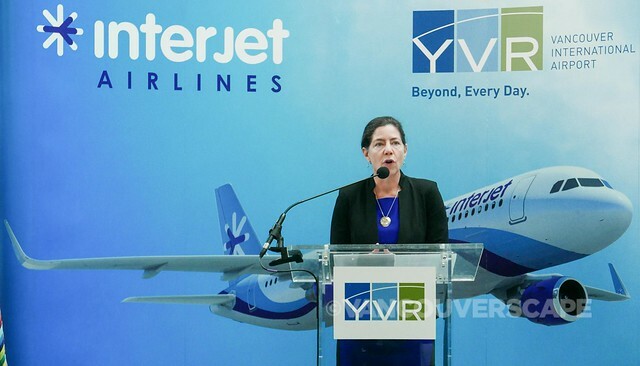 Interjet’s Vancouver services operate using Airbus A320 aircraft with 150 seats. The initial schedule is for four frequencies per week, per route, on Mondays, Thursdays, Fridays and Sundays.